The music ministry of Watkinsville First Christian Church plays an important role in our worship service. 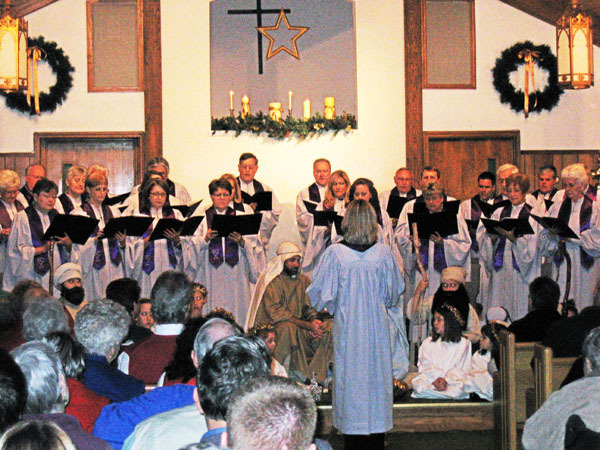 From traditional hymns to more contemporary styles, our program reaches out to everyone. Our Adult Choir provides musical leadership for our Sunday Morning Service and presents special programs for Easter, Christmas, and other services throughout the year. Our choir is comprised of men and women who love to worship God through song and fellowship with other Christians. Choir practice is held on Wednesday nights at 7:00 p.m. and anyone who shares our love of singing is welcome to join us. Our Handbell Choir practice on Sunday evenings and perform throughout the year. The Adult Handbell Choir rings five octaves and the ability to read music is helpful, but not required.